Off to see the world? Here are seven destination that will feed your appetite for charming and original architecture along the way. From Yemen to China, prepare to get a glimpse of the world’s most creative small towns and villages ever built. 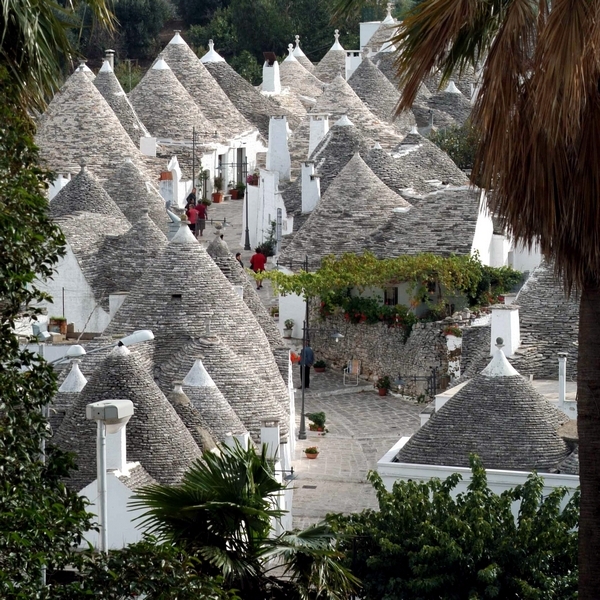 Alberobello is inhabited by 11,000 lucky Italians and is famous for its unique 14th century Trulli huts. 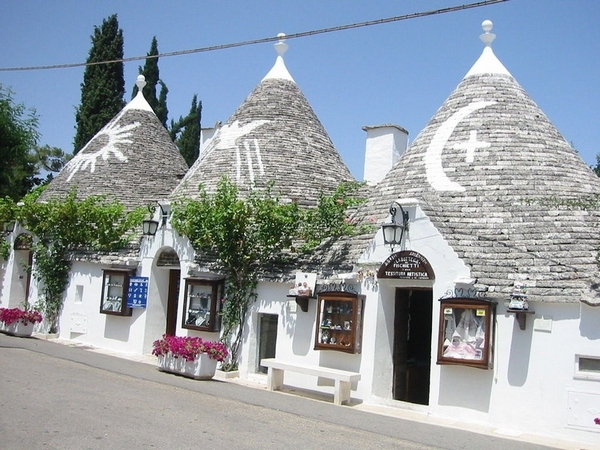 The Trulli of Alberobello are part of the UNESCO World Heritage sites list since 1996. 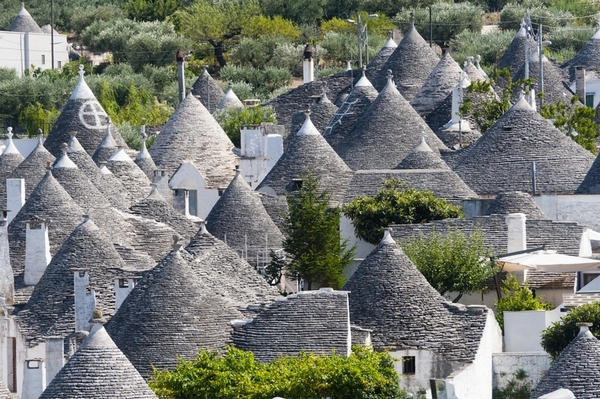 Modest and lovely looking, the trulli are built using roughly worked limestone boulders collected from neighboring fields. They have pyramidal, domed or conical roofs developed by using corbeled limestone slabs. 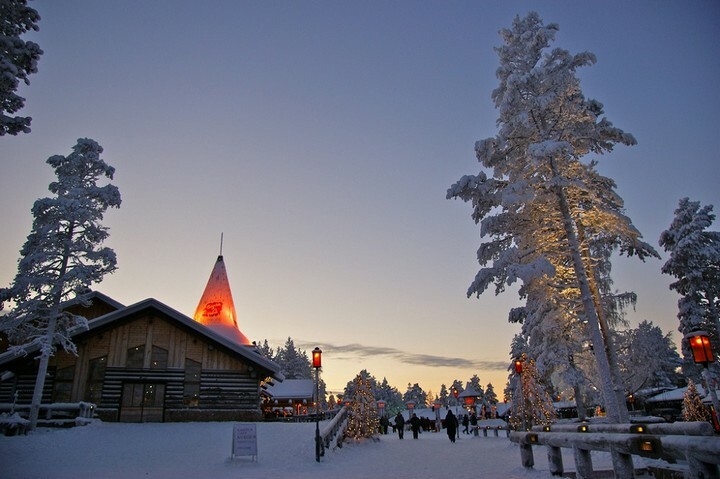 Most of the unusual homes are currently used as accommodation or gathering places (restaurants, cafés). 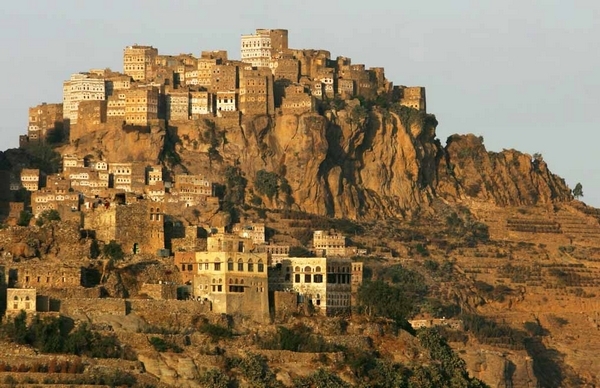 Al Hajjerah is an unusual town in Yemen and one of the most impressive settlements in the Arabian Peninsula due to its unique architecture and isolated position. 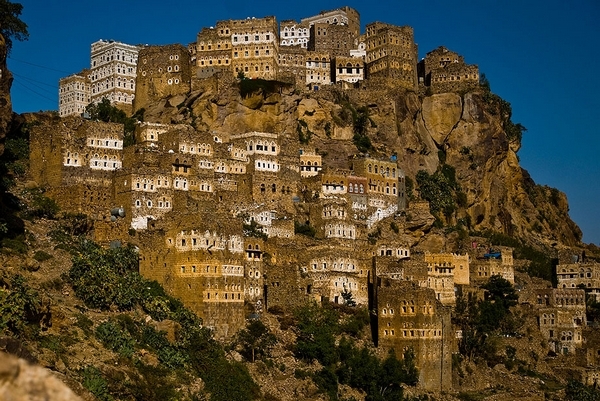 With a population of 2000 people, it is located 40 km northwest of Yemen’s capital Sana’a, up in the Haraz Mountains at an altitude of 1850 m. These innovative multi-story constructions were built in the 16th century to serve as a strategic observation point, as the wild environment was considered proper for rejecting invaders. Although most of Al Hajjerah’s buildings have been around for hundreds of years, the city’s architecture seems very modern and innovative when it comes to engineering. The unusual dwellings lie suspended on the cliffs like they are at the point of collapsing, of disappearing into the gap. Unfortunately, traveling to Yemen is currently strongly discouraged due to a state of severe political crisis, as well as a very high threat of terrorist attacks, abductions, tribal violence and general lawlessness. 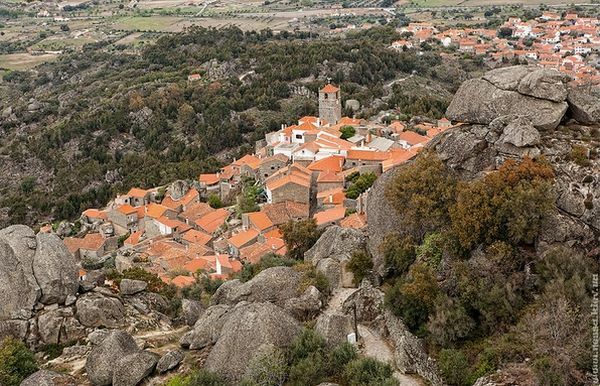 The Portuguese countryside offers many pleasant surprises to the wandering traveler. 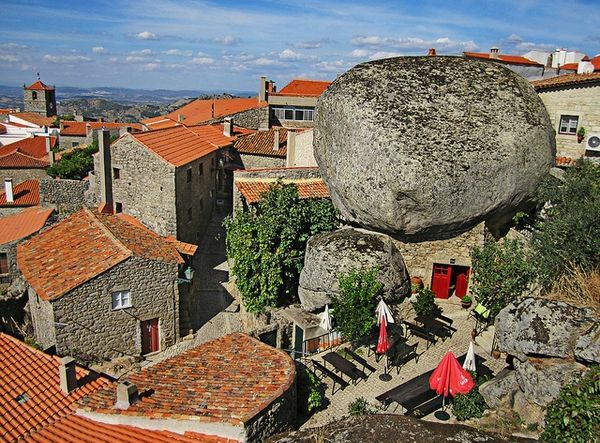 Monsanto is an incredible, architecturally delicious village where you can see granite houses squeezed between giant boulders. While in Monsanto, be sure take your camera along the narrow, spectacular streets and hike to the top of the 400 feet high hill, where you will discover the old castle. 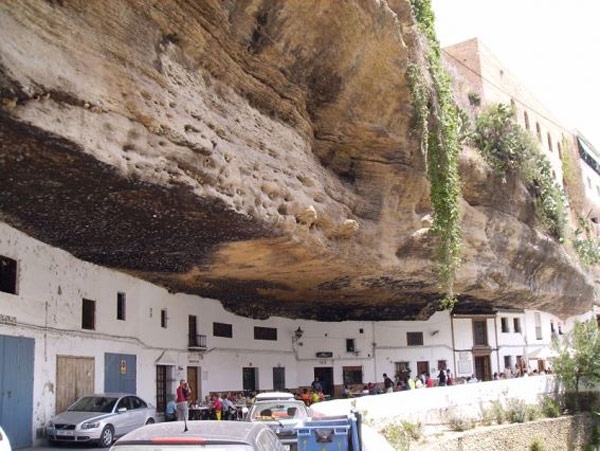 Traveling to Setenil de las Bodegas in Spain may prove to be a real adventure for those suffering from symptoms of claustrophobia. Located in the scenic province of Cádiz, Spain, the unusual village was creatively built using local stone as construction material. Walking through Setenil is like a never ending discovery. 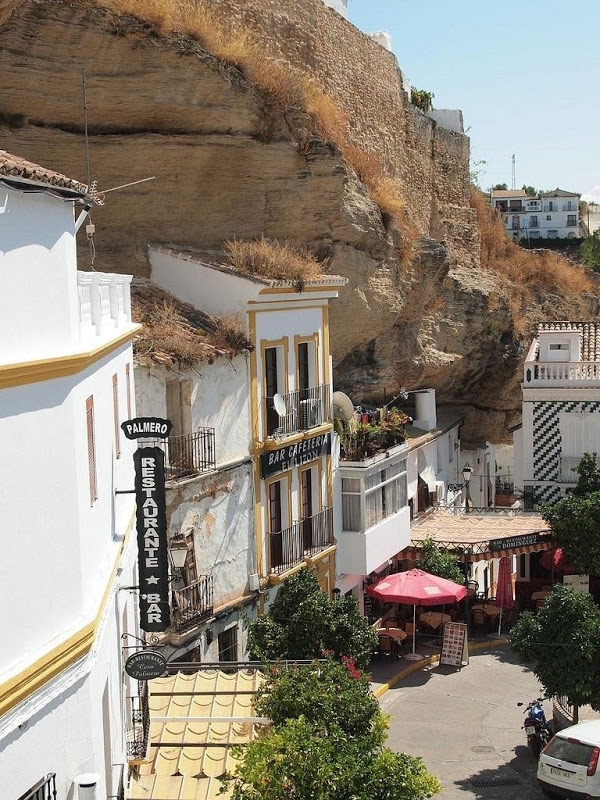 Get to observe the ruined Moorish castle and the nearby church of the Encarnación; enjoy discovering the narrow streets in this compact, cliff-enclosed town. 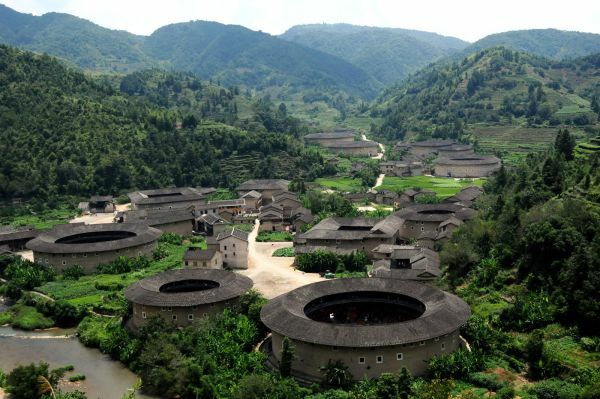 Chuxi Tulou cluster is a part of Chuxi Village, located in Yongding County, scattered in the mountainous southeastern region of Fujian province, China. Known for its imposing earthen buidings called “tulou”, Chuxi was inscribed in 2008 as UNESCO World Heritage Site. The Fujian tulou has its architectural influences from the Chinese traditional houses which are “closed outside, open inside”. This architecture principle is represented by an enclosure wall with living quarters around the peripheral areas and a common courtyard at the center of the tulou. Some of the buildings have a small construction inside the courtyard that serves as an ancestral hall for worshiping, festivals, meetings, weddings, funerals and other ceremonial functions. 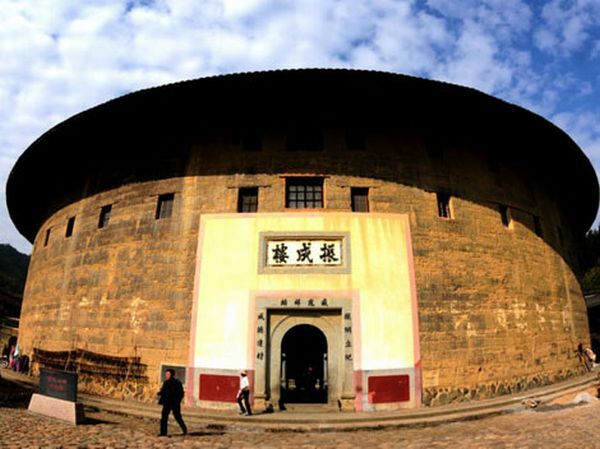 Jijinglou, the largest round tulou, was built in 1419 during the Ming dinasty and consists of two concentric rings: the outer ring is a four-storey tall buiding with a number of 53 rooms per level and the inner ring is a one-storey bilding. The Chuxi Tulou is representative for the Hakka culture and unlike other housing types which reflect social hierarchy, Fujian Tulou exhibits its unique characteristic as a model of community housing, where all the inhabitants are equal. When they built the tulou, Hakka people decided to create all rooms of the same size, with the same materials, without any differences in decorations, windows and doors. If you happen to travel to Fujian, visit a tulou, stay at a Hakka family- they will be happy to have you in their homes. In Chinese, the name “hakka” means “guest families”. 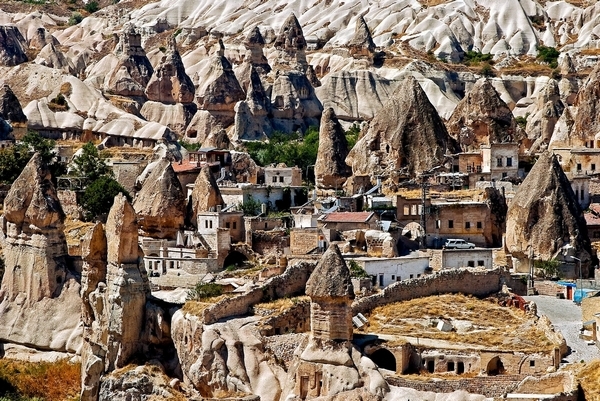 Göreme, located among rock formations known as “fairy chimney”, is a town in the historical region of Cappadocia, in Central Anatolia, Turkey. Hidden labyrinths and lunar landscapes are just two of the features that could describe the unworldly Göreme, a town that is “hiding” centuries of unwritten history, created by lava layers deposited over time and consisting of caves, tunnels and underground settlements. It is said that being present here is a memorable experience due to the fact that the settlement is not only composed of unique, imposing towers of stone carved by time and excavated by men, but also the visitor’s journey through historic time, ancestral, with strong religious significance. The origins of this town date from the third century, during the Roman period, when Christianity was the prevailing religion in Cappadocia, which is revealed by numerous well preserved churches and chapels in Byzantine style. The historical setting of Göreme, the rock-hewn churches and the massive eroded landforms combine in such unusual way that unveils an astonishing cultural and natural patrimony that made Cappadocia region a world icon. 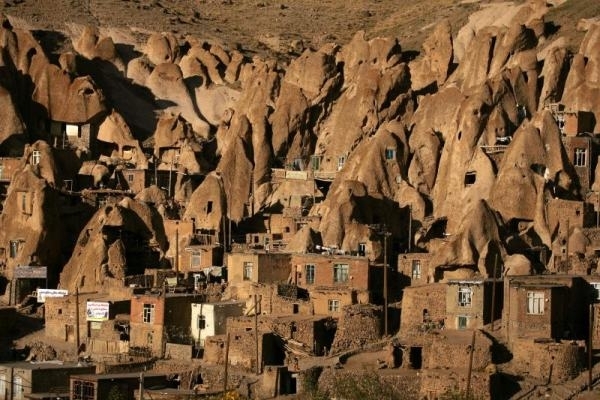 Kandovan is an extraordinary ancient village in the province of East Azarbaijan, near the city of Tabriz, Iran. 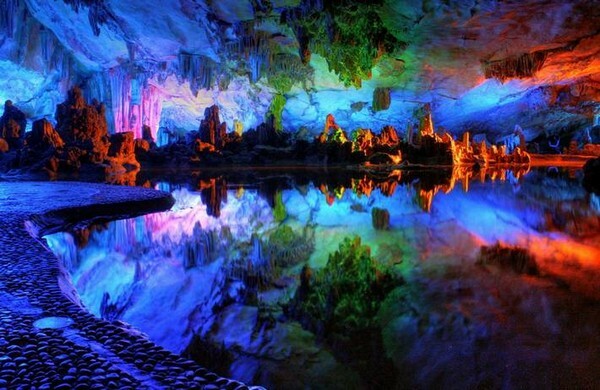 With its at least 800 years existence, this remarkable place is inhabited by 670 people and offers scenic landscapes. 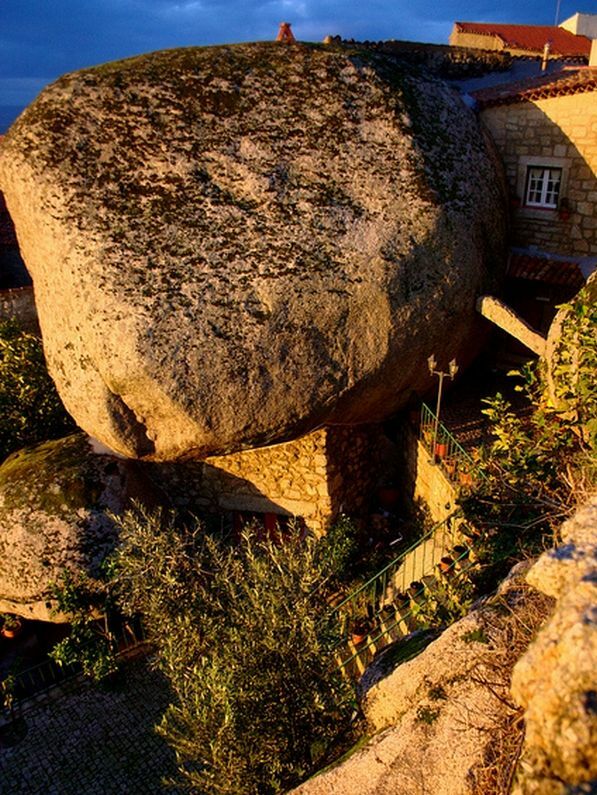 The most interesting aspect about these “houses” is the fact that the rock acts as an energy efficient material, keeping the house cool during summer and warm during winter. This is why most of the inhabitants here do not use heaters or air conditioning systems. 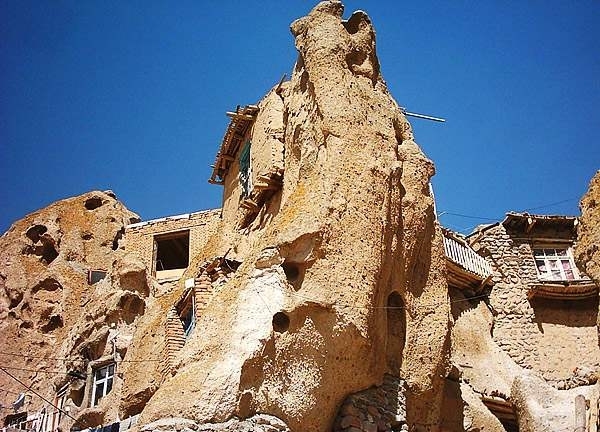 It takes ten months for four people to dig a room in Kandovan. 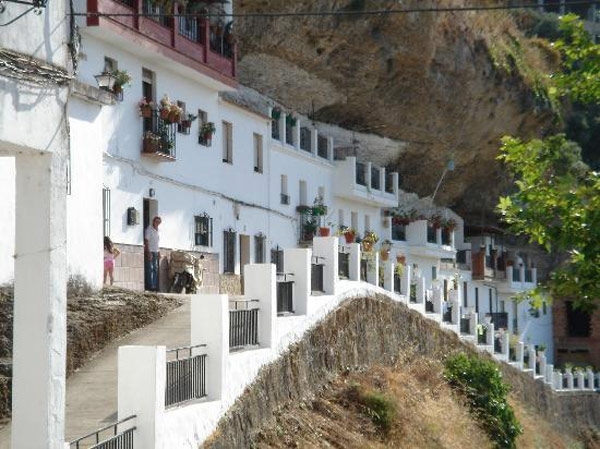 The intriguing architecture of this village, with its incredible slopes and irreverent paths, seems to defy all rules .